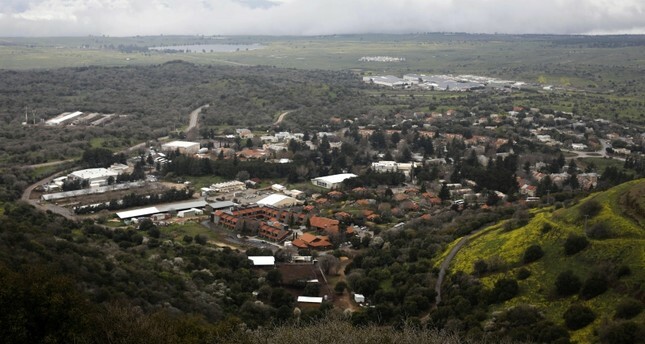 Turkey views the U.S.' decision to recognize Israeli sovereignty over the occupied Golan Heights as "null and void", and sees it as a complete disregard of international law, back-to-back statements by senior officials and state institutions showed. "The U.S. once again ignored international laws, however, this decision will never legitimize Israel's annexation," Foreign Minister Mevlüt Çavuşoğlu said. "The decision will further increase tensions in the region by preventing peace efforts in the Middle East," he added. Later speaking in southern Antalya province, Çavuşoğlu said Trump's signature "is supposedly a gift to [Israeli Prime Minister Benjamin] Netanyahu who is in trouble before the election." Following his speech, the Foreign Ministry released statement deploring the Trump administration's controversial move. "This unfortunate decision, which constitutes a grave violation of international law, particularly the United Nations Security Council Resolution 497 (1981), demonstrates that the U.S. Administration continues its approach to be part of the problem, rather than part of the solution in the Middle East," the statement read. Underscoring that Trump's proclamation was "null and void" for not only Turkey but also for the responsible members of the international community and all the countries in the region, the ministry called on the world to comply with the U.N. Charter and U.N. Security Council Resolutions "instead of further destabilizing the region with futile attempts to justify Israel's acts against international law." The ruling Justice and Development Party (AK Party) Spokesman Ömer Çelik also slammed Trump's move, saying that Turkey will strive to make sure that other states do not recognize it. Turkey's Presidential Spokesman Ibrahim Kalın said the decision "as Israel bombards Gaza is the manifestation of anti-peace mentality". Israel has long lobbied the U.S. to recognize its claim over the Golan Heights, but all past administration refused to heed the calls. Israel seized the Golan Heights from Syria during the 1967 Six-Day War. Israel occupies roughly two-thirds of the wider Golan Heights as a de facto result of the conflict. It moved to formally annex the territory in 1981 — an action unanimously rejected at the time by the U.N. Security Council.